What's the weather like today? The question is often heard in elementary schools, from morning meetings to science units. 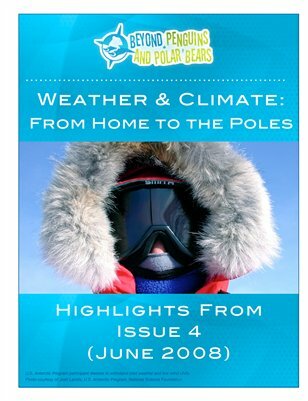 In this issue, we highlight ways to move from a study of the weather at home to the weather of the polar regions. We discuss how hands-on activity helps students build vocabulary, and how to provide extra support for English Language Learners. Through activities, reading, and discussion, students and teachers can compare the climates of the Arctic and Antarctica and learn about the effects of climate change.